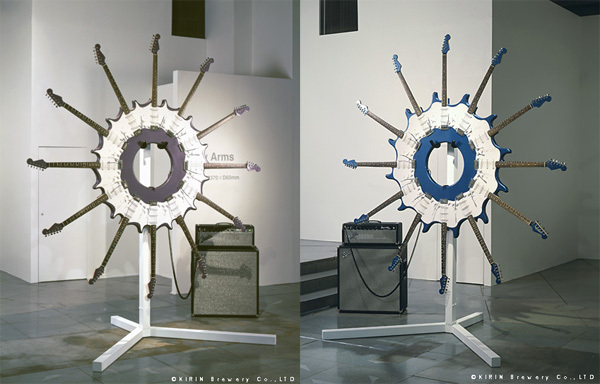 Japanese artist Yoshihiko Satoh takes mass-produced goods and alters or multiplies them to “unleash the energy residing in their function and shape”. 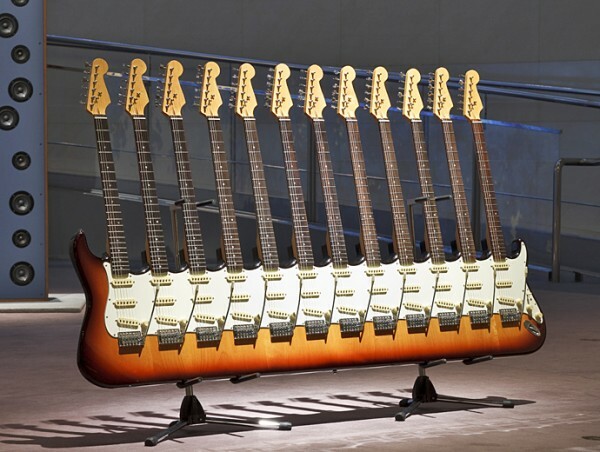 Or, simply speaking, he multiples them by awesome. 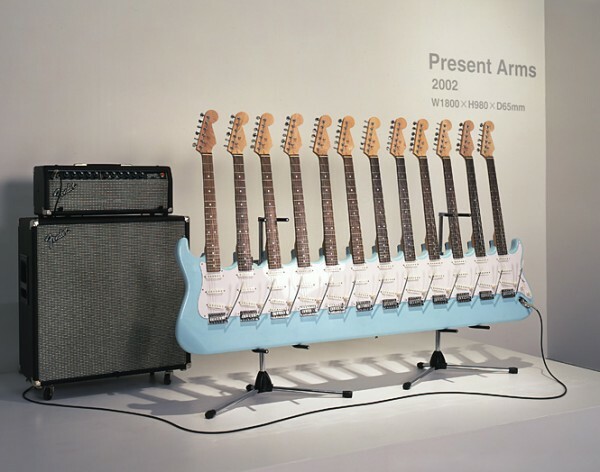 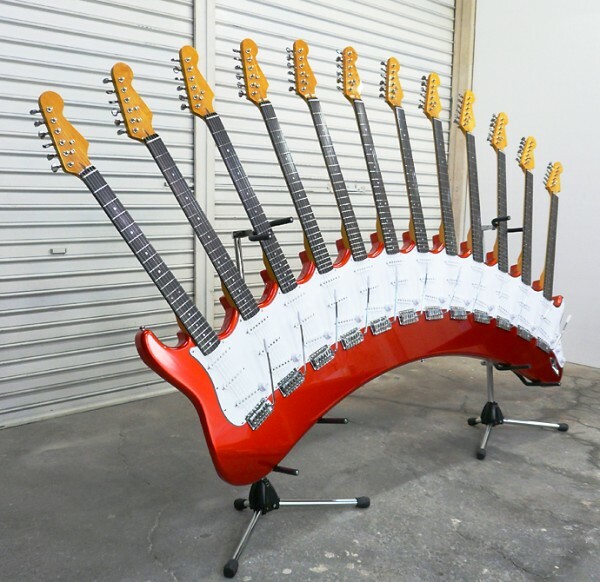 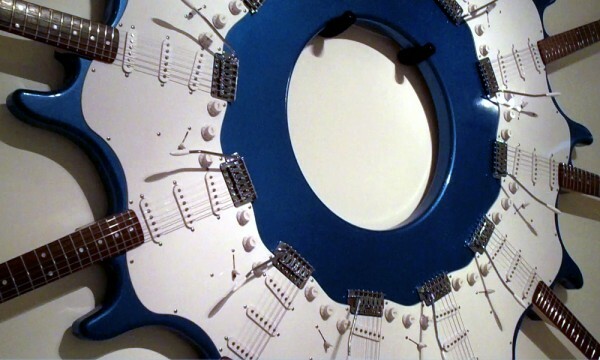 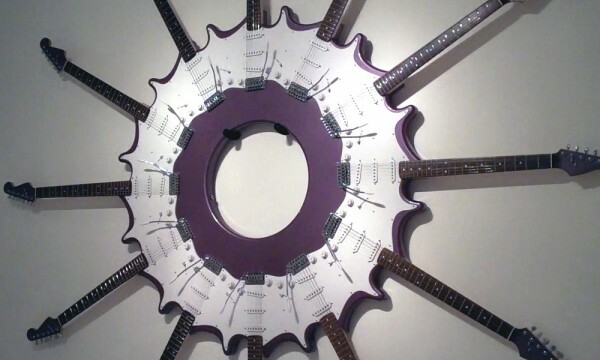 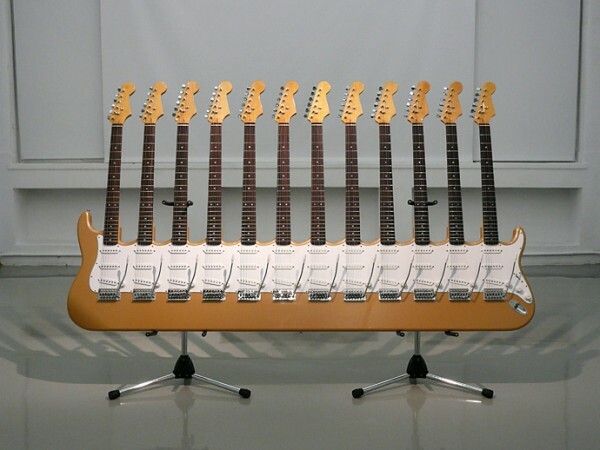 His guitar sculptures above are by far his most impressive works, however he’s also experimented with exaggerated length in irons,toy trucks, and even functional mopeds. 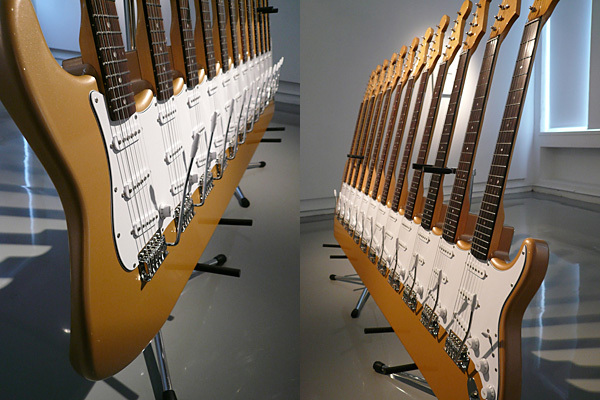 His latest work is on exhibit at Roentgenwerke AG in Tokyo through August 27.